•THE WAIKANAE MUSIC SOCIETY CHARITABLE TRUST FOR YOUNG MUSICIANS... applications close on October 28th, click on the Young Musicians's Trust Link above for more details. 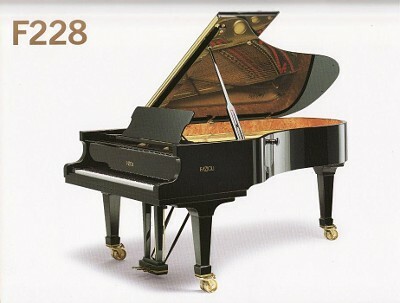 •THE NEW FAZIOLI PIANO HAS ARRIVED...click on the "Concert Reviews" Link above to read all about the Gala Concert. •KAPITI STUDENT MUSICIANS' CONCERT...come and support our young musicians and hear all about next years exciting Concert Programme at the AGM on November 12th. Michael Houstoun’s delightful programme, designed to showcase the piano’s qualities, has a hint of Italian flavour in honour of the Fazioli’s country of origin: Bach’s Concerto “in the Italian style”, Liszt’s Petrarch Sonnets (inspired by the works of the great 14th century Italian poet), and Les jeux d'eau à la Villa d'Este, also by Liszt, which paints a musical portrait of the famous fountains of the Villa d’Este at Tivoli. The programme also includes an intriguing Sonata by the Ukrainian composer Nikolai Kapustin and Schumann’s magnificent Kreisleriana. Proceeds from this recital will go towards the purchase of the piano. Grateful thanks are due to Michael Houstoun for his generous support. This is a rare opportunity to hear Schubert's epic Winterreise (Winter's Journey) - widely considered to be the greatest song cycle ever written. To perform this profoundly beautiful work are two consummate artists at the peak of their powers. New Zealand born Keith Lewis is one of the world's busiest tenors whose career has taken him to opera houses and concert halls around the globe. 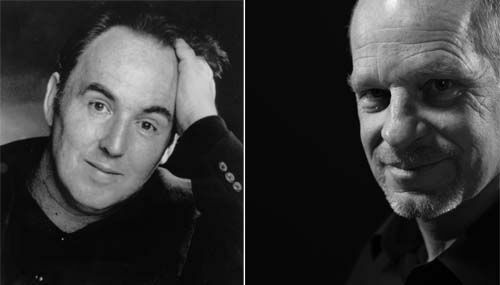 His musical partnership with New Zealand's finest pianist Michael Houstoun spans several decades. 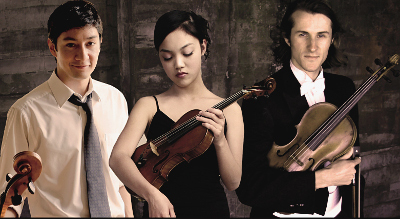 This dynamic trio brings together two of New Zealand's leading young string players, violinist Christabel Lin and violist Nicholas Hancox, with one of the USA's most outstanding young cellists, David Requiro. The three have formed this ensemble during the course of their various studies in New Zealand, USA and Austria, and will present a vibrant programme of string trios by Dohnanyi, Lilburn, Handel, Schubert and Beethoven. 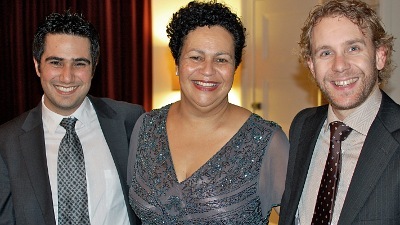 The Antipodes Trio concert is part of a nation-wide Chamber Music New Zealand tour. Over many years NZSO Associate Concertmaster Donald Armstrong and his Amici Ensemble have entertained us with beautifully crafted programmes, always varied, interesting and highly enjoyable. For 2011 they will play two great masterworks: Mozart's String Quartet in C (K157) and Brahms' glorious Clarinet Quintet. Joining Donald for this concert (which also includes New Zealander Anthony Ritchie's Clarinet Quintet) will be the NZSO's brilliant principal clarinettist Philip Green, and NZSO string players Kristina Vaszilcsin (violin), Julia Joyce (viola) and Rowan Prior (cello). The outstanding German pianist Michael Endres, renowned as one of the world's foremost Schubert interpreters, has performed extensively as a soloist and chamber music partner, including many years as accompanist to the legendary German baritone Hermann Prey. 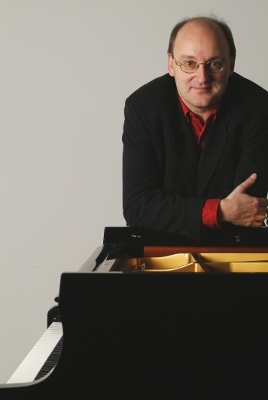 He has an impressive prize-winning discography, and a distinguished career as piano professor in Cologne, and Berlin and now at New Zealand's Canterbury University. His wide ranging programme opens with schubert's Four Impromptus (Opus 90) and salutes New Zealand with Gareth Farr's exuberant Sepuluh Jari. Liszt's monumental B Minor Sonata is the major work of the second half, followed by a colourful bracket of pieces by the American romantic composer Gottschalk. The ever popular Diedre Irons returns to our stage, this time to give a solo recital. Described in a review as "an absolutely magical soloist...every phrase alive with perceptive detail" (Christchurch Press), she will delight us with Beethoven's Sonata Opus 2, No 3, Chopin's two Opus 27 Nocturnes and one of Chopin's greatest works, the Opus 49 Fantasy. 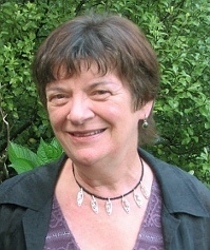 In the second half, a brief piece by New Zealander Gillian Whitehead serves as an introduction to the elegant sound-world of Ravel's suite Le Tombeau de Couperin. Finnish violinist and NZSO Concertmaster Vesa-Matti Leppänen leads this quartet of prominent NZSO members - Rebecca Struthers (second violin), Andrew Thomson (viola) and Rowan Prior (cello). Founded in 2000, the group takes its name from a favourite coffee shop. Their programme links two quartets by Beethoven (Opus 18, No 4 and Opus 59, No 1) with the 5th Quartet of Aulis Sallinen, a contemporary Finnish composer who was inspired by Beethoven. 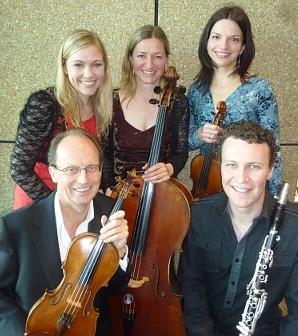 The Felix the Quartet concert is part of a nation-wide Chamber Music New Zealand tour. We are delighted to welcome back the wonderfully talented young Czech violinist Josef Spaček (winner of the 2009 Michael Hill International Violin Competition), this time leading the Meler Ensemble from New York. The name comes from the French word mêler meaning to combine - in this case, combining the cultural diversity of musicians from far-flung parts of the world. With Josef will be the acclaimed young American pianist Andrew Tyson (recipient of many awards and prizes), and New York based Wellington sisters Amanda Verner (viola) and Aleisha Verner (cello). Piano quartets by Mozart (K478), Turina (Opus 67), and Dvorak Piano Quartet No 2 in E flat, Opus 87 make up their very attractive programme. Our season concludes with a horn trio from Australia, led by well known violinist Wilma Smith, former Concertmaster of the NZSO and now Concertmaster of the Melbourne Symphony Orchestra. She will be joined by the MSO's acclaimed Principal Horn Andrew Bain and the Iranian-Australian pianist Amir Farid (one of Australia's brightest young stars). They will play Mozart's K305 Sonata for Violin and Piano, Beethoven's Sonata for Horn and Piano, Koechlin's Four Pieces for Horn Trio and to end the year in style, Brahm's sublime Horn Trio. "These pages were last updated on Sep 26th, 2011"